This page addresses some issues and ideas pertaining to the GM TBI system used from 1988 thru 1995. 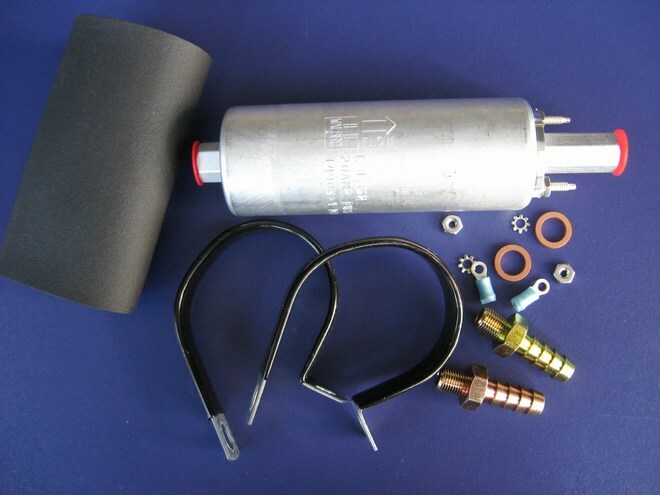 There are several advantages in converting a carbureted fuel system to a throttle body injection system, including much more trouble and maintencance-free operation than a standard carburetor system, quicker starting, better cold weather operation and a little better fuel economy. Here are some items that may be helpful in making the conversion. One of the things you will need are pinout diagrams to help you sort out the wiring issues. They are available in most any shop manual of the era and in several places on line. The beauty of the TBI systems used on the small block Chevy and the 4.3 V6 is that the systems all work basically the same and GM has kept the wiring the same so there no real need to have the exact wiring diagram for the system you are installing. Error codes are universal too. Ih8mud is a good place to go for TBI information including pinout and basic wiring diagrams. Chevy Thunder is also a good souce for diagrams, pinouts and other good information. Click on "TBI" when you get there. It much more economical to use a factory TBI wiring harness from the wrecking yard, donor vehicle or eBay. It's also a lot of work. A stock harness has a ton of circuits you won't need for a conversion. You must identify the connections/ wires you'll need and get rid of the rest. Using the pinout diagrams identify the circuits you want to keep. You'll a ohm meter and a couple of hours of uniturupted time. The photo at the right is about what you want to end up with. Click on the picture for more detail. Once you get your system going there will undoubtedly be some minor problems. Your "Service Engine Soon" light is capable of blinking out codes that you'll be able to interpret. The only special equipment you'll need to read the codes is a paper clip! They don't always tell exactly what's wrong but they always give you a place to start. With the TBI system we are interested in OBD1 codes as opposed to the newer OBD2 codes. Here is one source you can go to for Trouble Codes . Here's another source with a little more detail: More Trouble Codes. Take the time to look both of the sites over. There's lots of good information there. When you put a TBI sytem on a vehicle with a Turbohydro 350 transmission, the kick-down cable that was used for the carburetor will not work on the throttle body. There's an easy solution: a UNIVERSAL DETENT CABLE. The TBI system needs at least 15 psi to function properly. The in-tank pumps are probably the better than the in-line (external) pumps, but the in-tank units are difficult to install if you are not using a tank that has the proper fitting(s). 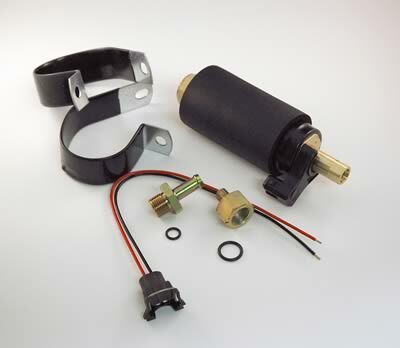 The in-line pumps are easy to install and easy to replace when they wear out. My system uses an in-line or external pump. There are several in-line pumps available: the Carter P5000 or P5001(on the left), and the Walbro GSL392 (on the right)are all good choices.